We specialize in startup services for small businesses. At this early stage, one of the most important decisions you can make is selecting the proper structure for your new business. 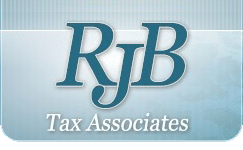 RJB Tax Associates can educate you on the different types of business structures and advise you on the best structure for your business mission and goals. A solid foundation will give your business what it needs to succeed. We understand that as a startup, things are tight. Our flexible services are customized to meet your needs as a startup. We also offer on-site or off-site meetings and can work to accommodate your busy startup schedule. Learn about all of the accounting & tax services that RJB Tax can help you with.